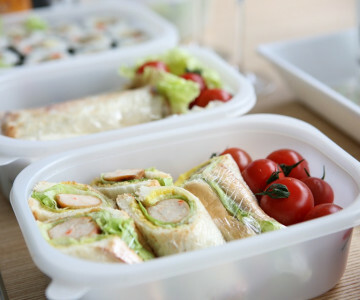 Back to school: Lunchboxes at the ready! After the glorious sunshine of July, the weather has certainly taken a turn across Greater Manchester. With the end of summer in sight, it can mean only one thing: it’s back to school time! If the thought of preparing school lunches is filling you with dread – don’t worry! In this week’s blog post we’ve compiled a handy bunch of tips and recipe ideas to help you get the kids’ school year started right. The Children’s Food Trust has some helpful advice when putting together your child’s lunch. Just a few easy swaps and inclusions can take their midday meal from bland to balanced and delicious! · Include starchy foods, such as bread – this will keep little ones fuller for longer! · Include a variety of fruit and veg – trying swapping crisps for sticks of carrot or cucumber. · Include dairy food, such as cheese or a yoghurt. Why not have a browse of our Best of Local range, for a whole host of delicious fruit and veg produce? All picked from Manchester’s Smithfield market, you can be sure that it’s fresh as can be. · Try cutting interesting shapes out of sandwiches! All you need is a cookie cutter, and hey presto – star-shaped sandwiches are a real crowd-pleaser. · Bored of bread? Try mixing it up with wholegrain pasta or wraps. · If your child has a sweet tooth, it can be all too easy to throw in a chocolate bar. But why not try chocolate-dipped fruit instead? This works especially well with satsumas and strawberries. · Get kids involved! They are more likely to be enthusiastic about their lunches if they prepared it – our Dough It Yourself pizzas are great for this, and slices can be eaten cold the next day.